Use the remote to control shades from anywhere in a room. 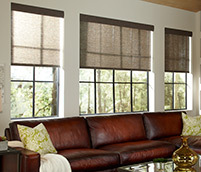 Adjust hard-to-reach shades, such as those in a second story foyer, safely and effortlessly. 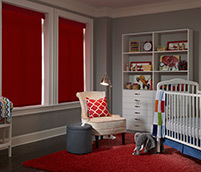 Shades install and operate without wires, perfect for retrofit applications. 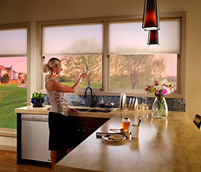 Serena shades feature industry-leading battery performance. 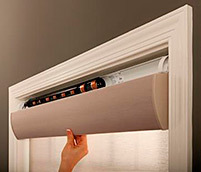 And you can change the batteries without taking down the shade; simply tilt the headrail forward. 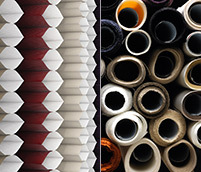 Available in roller and insulating honeycomb styles, Serena shades feature a wide variety of beautiful fabric colors and textures to enhance the functionality and décor of any space. 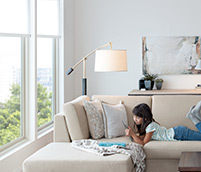 Add a Lutron Smart Bridge and Caséta Wireless dimmers and you can control multiple shades along with lights to set the “scene” in any room at any time of day.